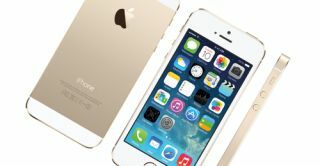 iPhone 6 could use solar power and sapphire glass screen | What Hi-Fi? Matt Margolis, a contributor to invester blog Seeking Alpha [via Stuff.tv], has reinforced rumours that Apple will use sapphire glass in the iPhone 6 screen, after the firm made a deal with GT Advanced Technologies to provide them with sapphire materials. Margolis goes on to say that Apple is also planning to use solar technology in the next iPhone, embedding solar cells into the screen in order to help boost the battery life. To some, this may not come as much of a surprise. Apple recently filed patents for using solar technology to power its iDevices, as well as putting out an advertisting for a 'Thin Films Engineer' with solar experience. Clearly, it's an area – one of many, no doubt – that the company is investigating. If Apple was to implement both technologies in to the next iPhone, the handset could not only be much thinner but also come with a display that is not only scratchproof bt that can double as an extra charger for the phone. It would also provide a suitably wow factor for a new iPhone, and keep Apple's iPhone one step ahead of the pack – something currently delivered by the fingerprint sensor on the iPhone 5S. So far, other rumours such as iPhones with curved screens have gone off the radar. Apple isn't the first company to investigate the possibility of solar-powered phones. The Samsung Blue Earth was a budget solar-powered phone that received solid reviews, while Nokia experimented with solar-charging phones with mixed results. Elsewhere, digital radios and other devices with solar charging have been on the market for some time, such as the Eton Raptor radio, and work woth varying degrees of succes, not helped naturally by the unpredictable nature of the British climate. As ever, we expect plenty of turns of the rumour mill between now and an expected release date for the 'iPhone 6' this Autumn.